It’s no secret that crime podcasts these days are particularly popular with women. This Mother’s Day, we hope you’ll consider attempting to induct your mom into that group of listeners (if she isn’t already)—because wouldn’t you like to further grow the feminist community that has sprung up around our collective morbid curiosity? Wouldn’t it be fun to spend your mom’s special day talking about crime? Maybe she isn’t into crime podcasts, or into any podcasts, but maybe she could be! There are many kinds of moms out there, but there are also many kinds of podcasts. She probably likes radio, right? And why wouldn’t she? Radio is great! So if you take your mom’s love of radio, your love of murder, and mix them into a fun Mother’s Day mimosa, what do you get? You get these criminally good podcast episodes that you can actually listen to with your mom. 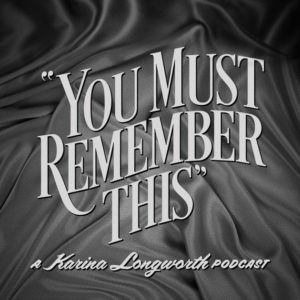 You Must Remember This is a podcast devoted to the first century of Hollywood, from the legendary to the obscure. Host Karina Longworth dedicates her seventh season to dead blondes: women in Hollywood whose deaths became equally famous, or more famous, than their lives. Episode 2 tells the story of the beautiful Thelma Todd, who was known in the 1930s for her comedic film performances alongside The Marx Brothers and Laurel & Hardy, before her mysterious death at age 29. Though people are still debating whether Todd’s death was murder, suicide, or a tragic accident – a debate that Longworth explains and weighs in on – this episode is mostly about old Hollywood, and one woman’s trajectory within it. Still, if you like a good conspiracy, there’s plenty to work with here, and it’s a great choice if your mom isn’t a fan of gore. If she is a fan of gore, you can’t go wrong with Longworth’s episode on Dorothy Stratten, or her multi-part episodes on Sharon Tate’s murder (in a separate season entirely devoted to Charles Manson and Hollywood). 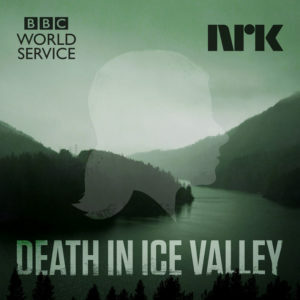 Death in Ice Valley is a brand-new joint production of the BBC and NRK (Norwegian public broadcasting), about the investigation surrounding the corpse of an unknown woman, discovered in a remote Norwegian valley in 1970. To this day, the woman’s identity is a mystery, but that’s not for lack of clues—from burns without a fire to a suitcase full of disguises to some oddly distinctive handwriting in a hotel registry. The production of the podcast is excellent, surrounding the listener with eerie music and the rush of steady rainfall to create a suitably spooky atmosphere. Investigative journalist Marit Higraff and radio documentary maker Neil McCarthy have a great rapport and an engaging way of telling a story, as their investigation takes them all over Norway, interviewing people who encountered the mystery woman for mere moments of their lives, and yet never forgot her. 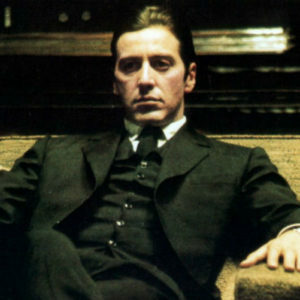 Episodes are released once a week, with four out so far, and they’ve all been top-notch. If your mom likes Agatha Christie more than Stephen King, this is the perfect choice. Stuff You Missed in History Class—Was There a Real Sweeney Todd? 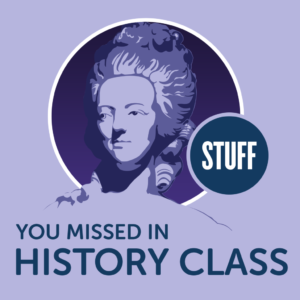 Stuff You Missed in History Class has been a history podcast staple for the last ten years, and it’s well-loved for a reason: No one does a better job of delving into the most peculiar chapters of history, examining all things odd with an insatiable curiosity, devotion to good research, and an understated sense of humor. In this episode, hosts Tracy V. Wilson and Holly Frey look into the origins of Sweeney Todd, the demon barber of Fleet Street—examining the life of the man who originally penned the Sweeney Todd story, following Sweeney Todd’s subsequent artistic iterations, and finally asking the question: Was there a real Sweeney Todd? Unsurprisingly, the answer isn’t a simple yes or no—but as Wilson and Frey examine the possibilities, they guide the listener centuries into the past, down curvy streets filled with writers, entertainers, murderers, cannibals, and yes, barbers and pie makers. As always, Stuff You Missed in History Class refrains from getting too graphic unless absolutely necessary, which makes this podcast a savvy choice for anyone who doesn’t quite have the stomach for more gruesome true crime. 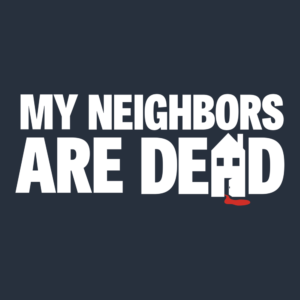 My Neighbors Are Dead is truly like no other podcast. In a unique amalgamation of horror, fiction, and comedy, host Adam Peacock interviews a changing lineup of brilliant comedians who take on the identities of invented minor characters in major horror movies—offering the aghast personal perspectives of Student #1 or Waiter #2, standing in the background of movies we thought we knew well. For their episode on Psycho, that most maternal of horror movies, Peacock interviews Marty Johnson, an avid amateur taxidermist who came in second to Norman Bates in the Greater Fairfield Amateur Taxidermy Competition. Second City-trained comedian C.J. Tuor’s characterization of a retiree devoted to his hobby is spot-on, in an interview that becomes steadily more outrageous as it goes on. On a personal note, I actually played this episode for my mom, and I have never seen her laugh so hard in my entire life. Even if fiction and/or comedy podcasts aren’t usually your thing, My Neighbors Are Dead is an absolute gem that is well worth taking a chance on. 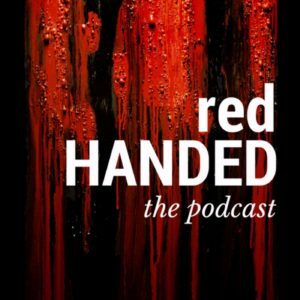 RedHanded is a fantastic podcast hosted by two British women, Suruthi and Hannah, who delve into a wide range of topics—whether it’s true crime, mysteries, the paranormal, or simply the creepy and bizarre. Despite their easygoing presentation style, Suruthi and Hannah have a detailed and methodical approach, combining thorough research and sharp analysis with a disarming frankness and dry sense of humor that never derails the conversation. In this episode, they look at the extraordinary case of Juan Catalan, an innocent man who was on his way to death row, were it not for the role played—unbelievably—by Larry David. That’s not actually the most interesting part of the episode, which deals with gang violence and the senseless murder of 16-year-old Martha Puebla, who was effectively sentenced to death by a careless police force who had no qualms about endangering witnesses. Hannah and Suruthi’s perspectives as indignant non-Americans only further crystallize the grave miscarriage of justice in this case, and in so many others. But also, if your mom likes Larry David, there’s that too. 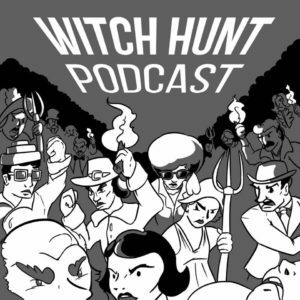 As the name suggests, Witch Hunt Podcast is about witch hunts—or more broadly, about the history of scapegoating, and the very human tendency to place the blame on others. Host Nancy Mades-Byrd, an 8th grade teacher and part-time tour guide in Salem, MA, devotes her first season to the Salem Witch Trials; a natural storyteller, she does a careful job of sifting through historical records and clearing up the many misconceptions about the witch trials that are pervasive even now. Her second season takes an equally thorough and engaging look at the Great Satanic Panic of the 1980s and 90s, and the many innocent people who were blamed for crimes they didn’t commit. It’s all well worth listening to, but for Mother’s Day, I recommend Mades-Byrd’s special episode on Typhoid Mary, the cook who infected more than 50 people with typhoid fever in the early 20th century. It’s a fascinating look at a woman who has certainly taken a lot of blame—considering both the repercussions and possible reasons for the actions that would earn her infamy. If none of these seem palatable for your mom, don’t lose hope. If she doesn’t like non-fiction, how about fiction? And if she doesn’t like real deaths, how about staged deaths? That’s just what you’ll get in The Amelia Project, a wonderful new audio drama from Imploding Fictions. 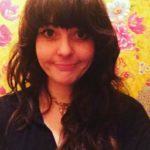 Amelia is a London agency that specializes in helping people disappear, usually by faking their own deaths in colorful ways; the podcast consists of the interviews between clients and the interviewer of the agency, going into why the client wants to disappear, and devising a strategy for pulling it off. (Patrons of the podcast also get access to special case files detailing how the operations turn out.) 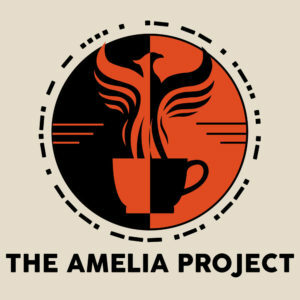 While set in the present day, The Amelia Project exudes an old-fashioned radio flair that’s completely authentic and fun, and which is likely to delight your mom. The podcast is funny, inventive, and absorbing, with a cast of characters that you won’t soon forget. This is again something that I have actually played for my mom, and I can honestly say that she loved it. You might find yourself loving it, too; I know I do.